Which means I will be here until at least next October. thought you guys might like it. Team Unicorn! 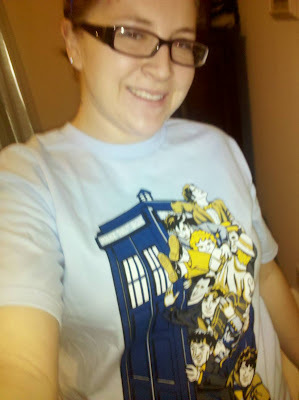 Finally got my shirt from teefury.com. i love it!! Star Trek V and My New Camera!!!! While I have been posting my videos here on Mary Lou Who, I have also been posting them on my youtube channel, MaryLouWhoBlog. At first, the idea was simply to have a place to host my videos. 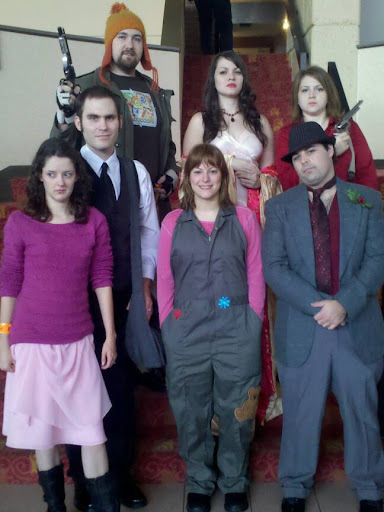 Since then, however, I have met a lot of really cool people on youtube. I have recently started working on a couple of projects with them. They are called collaborative channels, or channels on which more than one person posts. I post videos once a week on each one. I encourage you to check them out - the people I'm working with are really cool! Around The World Vlogs Here, I post videos every Saturday pertaining to fandom and various subjects, entitled "Solidarity Saturday"
Five Days of Awesome Here, I post videos every Wednesday pertaining to that week's topic. 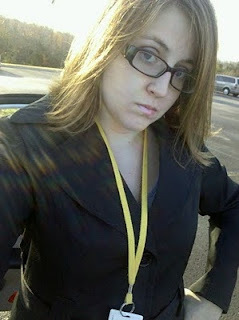 I look like Scully today in my trench coat and badge. X-Files FTW! Never posted an actual photo of this after all the updates. haha. Just me as the TARDIS! 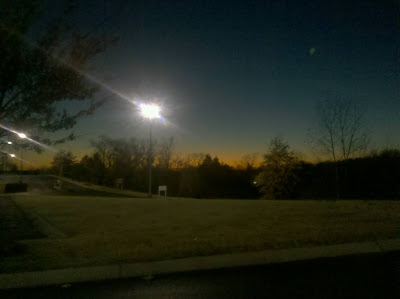 Took this tonight after work. It was more beautiful than the picture shows! I never really liked Thanksgiving food...weird I know! The camera cut off a few of my words...I'm sorry! Job Update and Star Trek Thursday! So...I'm thinking of participating in National Novel Writing Month. Are any of you participating? I have no idea what I'll write about, but I think it will be fun! I finally got a job you guys!! Some of our adventures and a couple costume pictures! 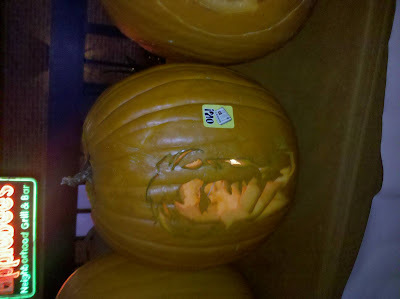 I won first place in the Joss Whedon Pumpkin Carving Contest! No, I did not create the design. I wish I had. I got it from PinkRaygun.com which has TONS of nerdy pumpkin patterns! I've actually been thinking about having a carving party, so let me know if you would be interested in that. Melissa and I had a great time reliving our childhood with a grown-up twist! We're finally here!! 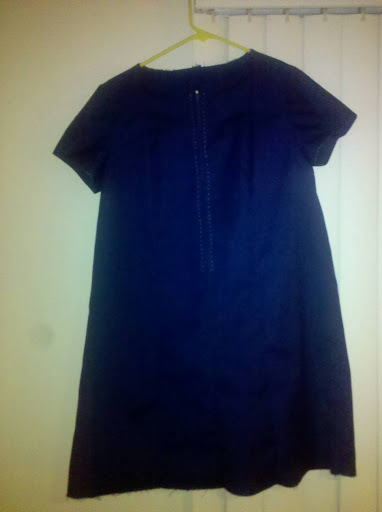 The completed dress and Melissa's too. 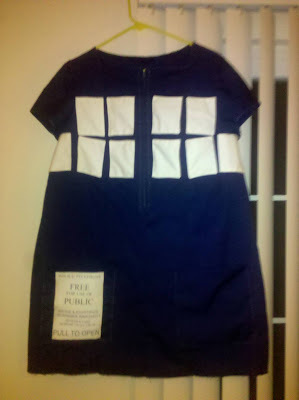 The Final Week: The TARDIS Dress FINAL Update!! 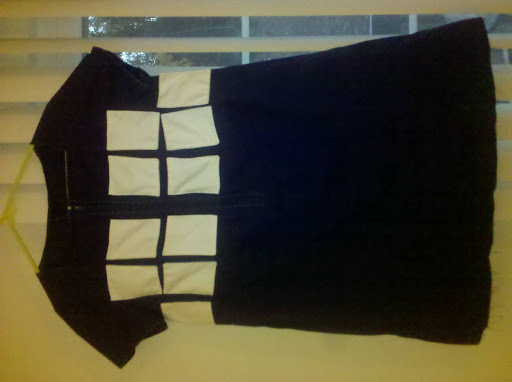 The dress is complete! Finally! I have added the "Police Public Call Box" sign and hemmed the bottom of the dress. And it looks fab, if I do say so myself! 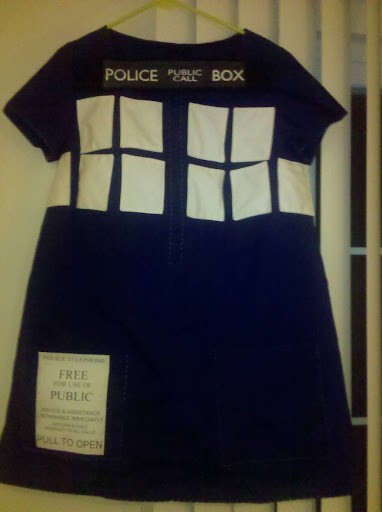 I have added the pockets and the "Free for use of the Public" sign! I have added the windows! They are a little crooked and not quite how I wanted them to look, but satisfactory I think! It took me three hours to put on a sleeve. This is not a quick enough pace! Worried. Currently visiting my college friend and sorority sister, Krystal, in Carbondale IL. Also, a short convention update! I shall try to keep you appraised of my progress as I complete it! Hey all! 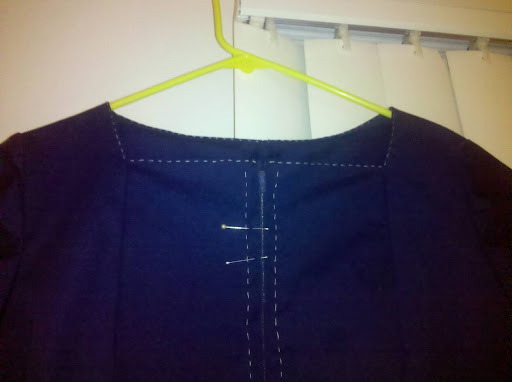 Here's a bit of an update on my costume and some of the geeky stuff I've been up to recently. 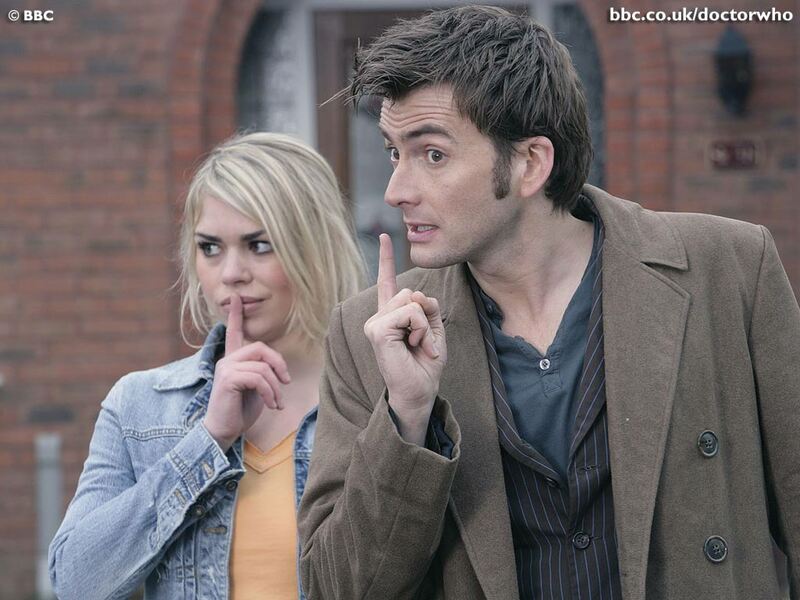 An explanation of Doctor Who! If you've never seen the show, check out this brief video with a bit of info about it. I thought of doing my own, but as Charlie has already done it for me and said basically everything I was going to, why bother? Check out charlieissocoollike's youtube channel! He's the most subscribed user EVER in the UK. Hey guys!! I'm sorry i haven't posted in a week and a half! Things have been a bit weird for me...but busy isn't an excuse I can use. Just an entry about my life right now. It got a little whiny, and I'm sorry about that. I really didn't mean to whine, I was just kind of down at the time. But I'm feeling a bit better now! 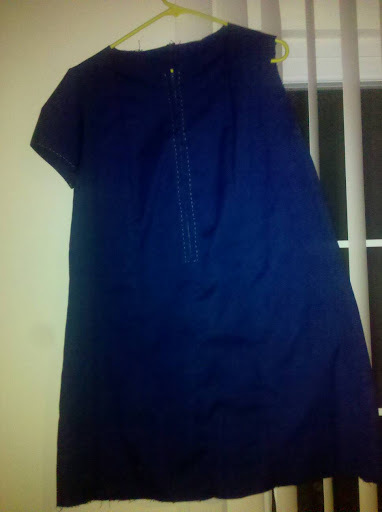 It all just sort of converged on me during this convo with my mom and I decided to blog about it. 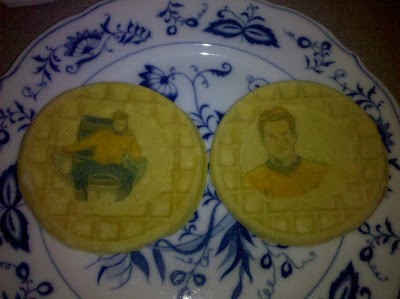 the last of my Star Trek waffles. Welcome everyone! Here's my introductory post for Mary Lou Who! Hi, all! If you're seeing this page, you're a couple days early. But that's okay! I'll officially start blogging (but mostly vlogging!) in a day or two as soon as blog setup is complete. For now, special thanks to Kirstin Long of Hello Kirsti, without her this blog would probably exist but would definitely be way less cool. So go check her out in the meantime! And don't forget all my sisters who blog at the Alpha Gamma Delta Blog Network! Thanks for stopping by and don't keep me a secret!